As Vice President of Content, Blair is accountable for the development and realization of TELUS’ content strategy. His portfolio includes programming and business development for Optik TV as well as programming, commissioning and original production for Optik Local, TELUS local programming offering. In addition to the Banff Board of Directors, Blair also serves on the board of The TELUS Fund which exists to help tell stories of transformation and innovation in health and wellness. 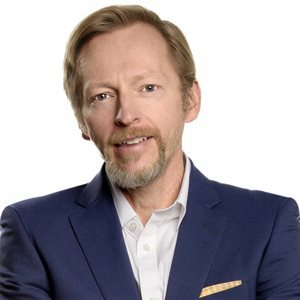 Prior to his current role Blair spent five years as Director of Product Development for TELUS TV, High Speed and Residential Hardware that saw TELUS make WiFi commonplace in households, significant expansion of the penetration of TELUS broadband services and the launch of Optik TV.